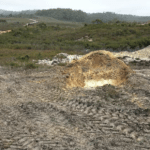 Aus Tin Mining has marked a return to processing operations following the completion of a new tailings storage facility at the Granville tin project in Tasmania. 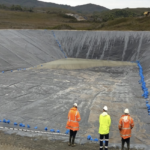 The storage facility’s lining has been completed and the base is being covered with reprocessed tailings in preparation for ore from the nearby Granville East mine. Aus Tin constructed the liner for the storage facility in-house as opposed to using civil and mining contractor Jemrok — employed by the company to provide tailings works in April last year — “to prevent further delays”, according to a December announcement by the company. The tailings storage facility was the final major permit condition of the expansion, and its completion allows the company to concentrate on increasing its tin concentrate production. 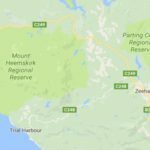 Aus Tin’s project is around 20 kilometres north of Zeehan. It lies within the Heemskirk tin field, the same region where the large Renison tin joint venture (JV) between Metals X and Yunnan Tin Group is located. 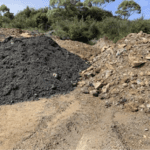 The Renison project increased its mineral resource by 6.25 per cent in August last year to 16.44 million tonnes of ore for 215,700 tonnes of contained tin. Tasmania’s mining sector was worth $1.82 billion in 2016-17 and tin is a particularly valuable export for the state. Mineral extraction and processing represents Tasmania’s largest export industry, accounting for over 50 per cent of shipped exports. The rise in activity in the Tasmanian mining sector has been referred to as a “resurgence” for the state.